I'm creating an Order Form with a customized JotForm template ... once a customer has completed the form I want the form to be able to automatically total up the final order value from the variables I'll be setting within the form and once they are happy to proceed to send the Checkout total to PayPal to collect the customer's payment. I also want to be able to integrate the above process with an Affiliate plugin that will administer all of the following 1)collecting the affiliates details 2) issue affiliates with a unique affiliate number/code they can utilise to direct leads to my site 3) handle paying the affiliates automatically for me. Ok, firstly to pass your total to a payment integration you need to use the form calculation widget. Search for it under the widgets tab on the left. Then drag and drop it onto your form. 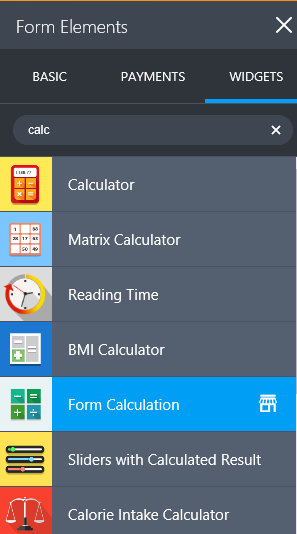 Setup the form calculation widget as a total. Click on the wizard icon ( magic wand ). And add the fields to add up. Not sure about the affiliate plugin. You could use JotFom for most of it. And create a form for the purpose of collecting the affiliate information. The third step of paying the affiliate automatically is probably not possible. Also, the system would be open to abuse if you didn't monitor it.